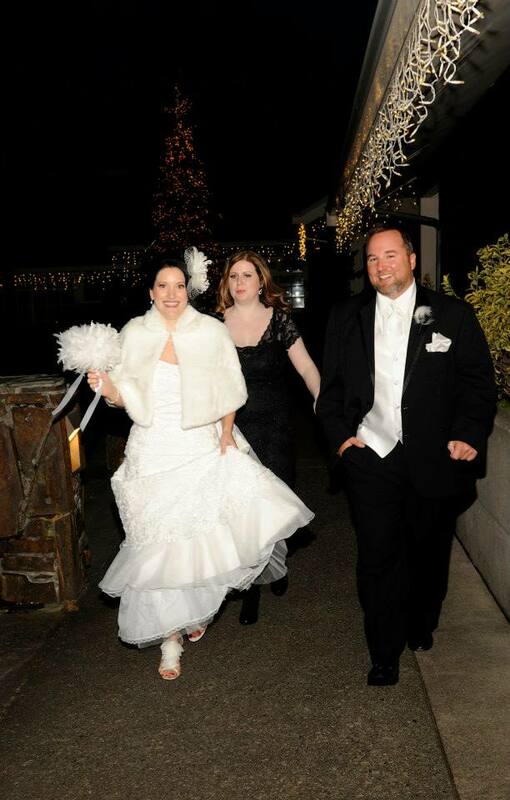 Since it’s Christmastime, what better wedding to write about than a Christmas Wedding at the Salish Lodge. Let me start by saying that Rosa and Joe, the couple whose wedding I am going to share with you, just celebrated their one-year anniversary. Again, happy anniversary Rosa and Joe! “It was a million tiny little things that, when you added them all up, they meant we were supposed to be together….and I knew it.” ….From the movie Sleepless in Seattle. Next, we added a tree-planting ceremony. I suggested a little tiny Christmas tree that they could plant in their yard and watch grow over the coming years. Rosa and Joe and Joe’s two sons planted the little tree together. 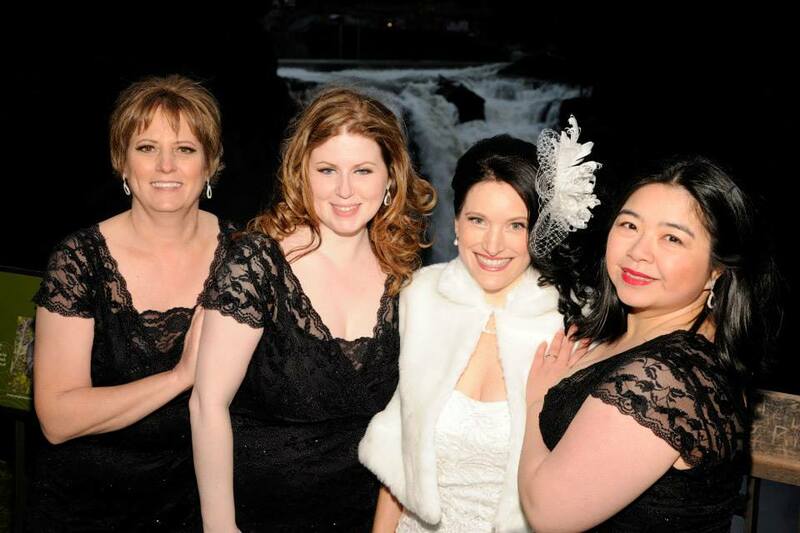 Everything about Rosa and Joe’s winter wedding at the Salish represented the love between them. I was honored to be a part of their joy. 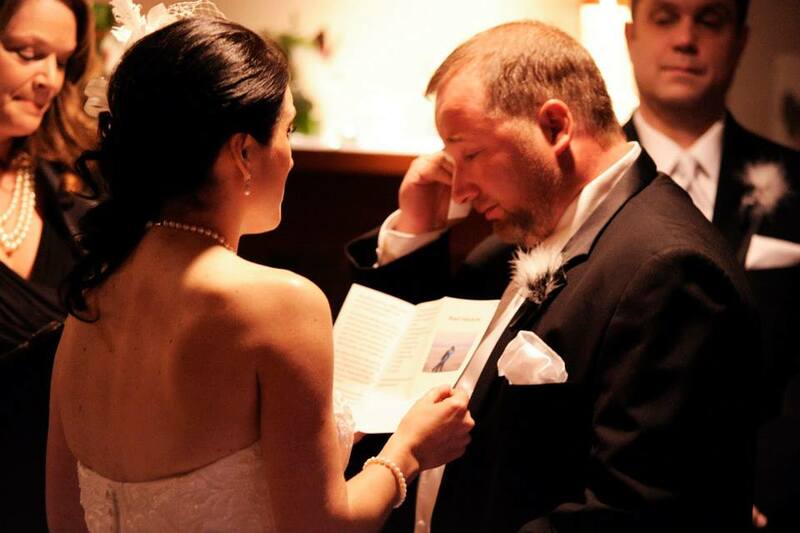 I have put together some of my favorite photos from their wedding….there were so many! Please enjoy. 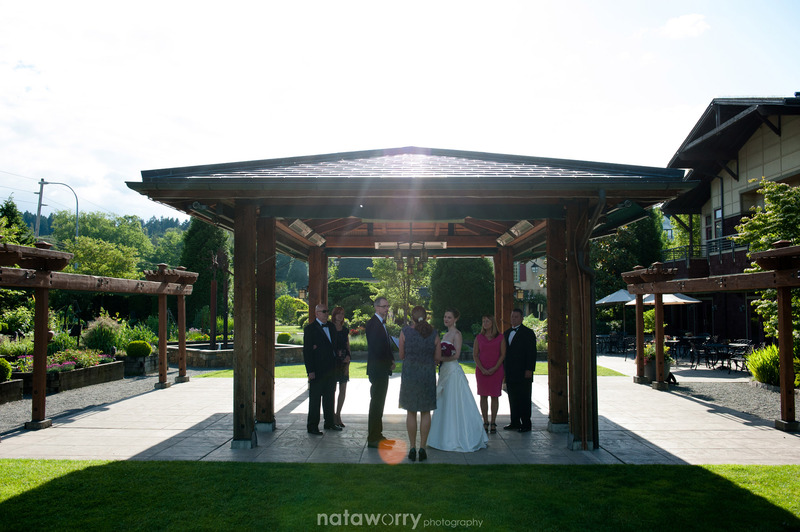 I met Sara and Shane early last summer to talk about their small wedding at Willows Lodge in Woodinville. They had made reservations at Willows for the special package called “I do for two.” Willows Lodge is such a lovely place to have a wedding — small or large — and I was excited to be invited to be their officiant. 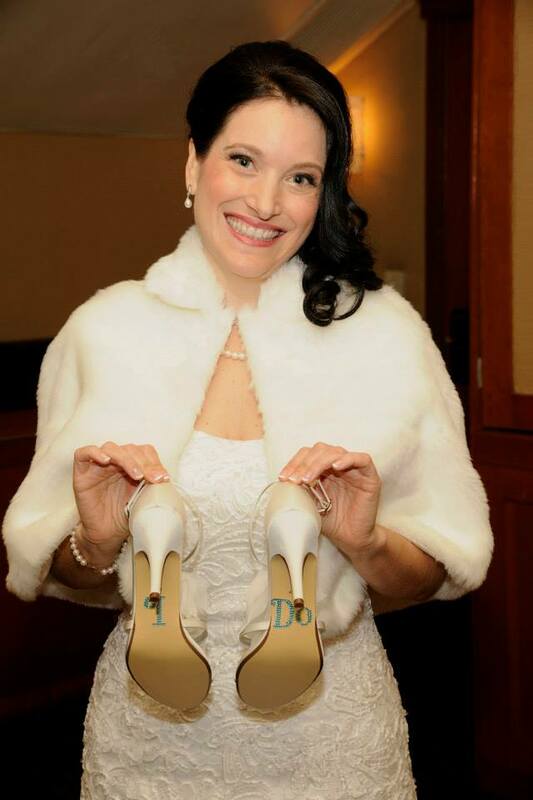 I have had the pleasure of officiating all sizes of weddings — from 2 to 400 guests, on hiking trails in boots and all dressed up with wedding parties of 22! I am mostly always prepared for surprises and ready to hit the ground running in any situation. I have to say that Sara and Shane’s wedding totally took me by surprise because it was small in numbers but absolutely gigantic in emotion. Both Sara and Shane had their parents fly in from different parts of the country and they would be their only guests. 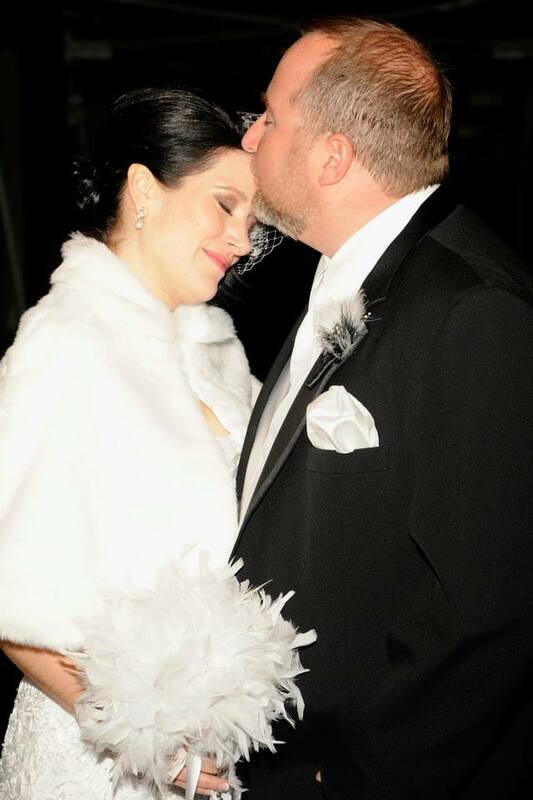 Sara looked gorgeous in her gown, hair and jewels, and the men wore tuxedos with bow ties. What was so outstanding was that although there were only six of us at the ceremony, it felt like the space was filled with the love of a 1000 hearts. Who says you can’t have a royal wedding with only six people? After Sara and Shane’s wedding, I know I never will. 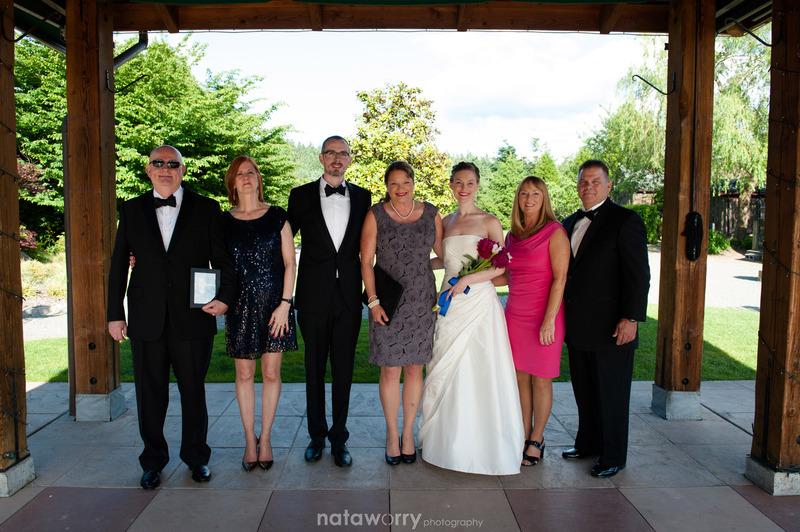 Special thanks to Renata Steiner at Nataworry Photography for capturing the emotion, especially the love, so brilliantly in the photographs below. 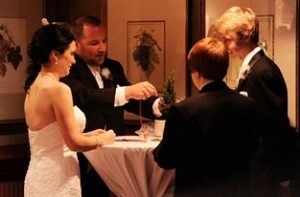 Last summer I had the joy and pleasure of officiating John & Desiree’s wedding at Robinswood House in Bellevue. The color scheme that Desiree chose was stunning with shades of orange and pink. 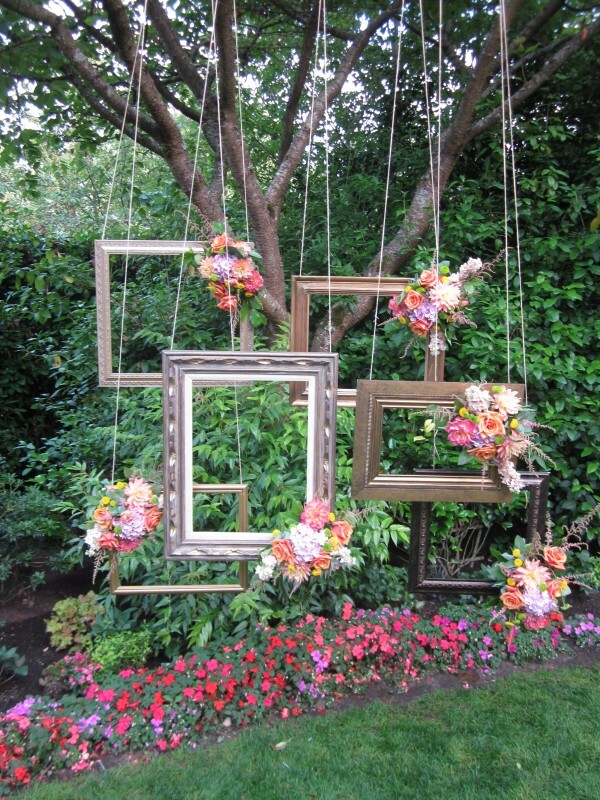 For the ceremony, the couple hung frames from a tree and added beautiful bouquets provided by Ravenna Bloom. 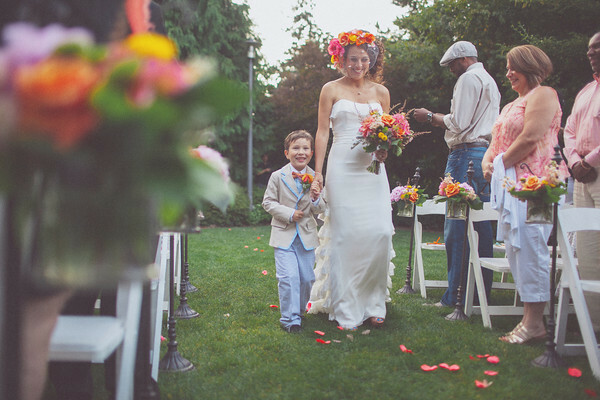 Desiree’s son walked her down the aisle and the two couldn’t have looked more happy. During the ceremony the family participated in the tradition of blending sands, which included lots of smiles and giggles. 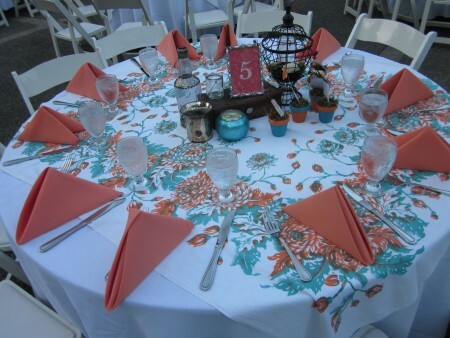 The dinner was held on the outdoor upper patio where tables were adorned with colorful vintage tablecloths. 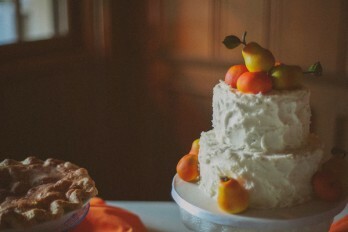 Dessert, provided by Sweet Side Cake & Al A Mode Pies included a traditional cake but also an assortment of pies which fit in perfectly for this fun summer wedding. 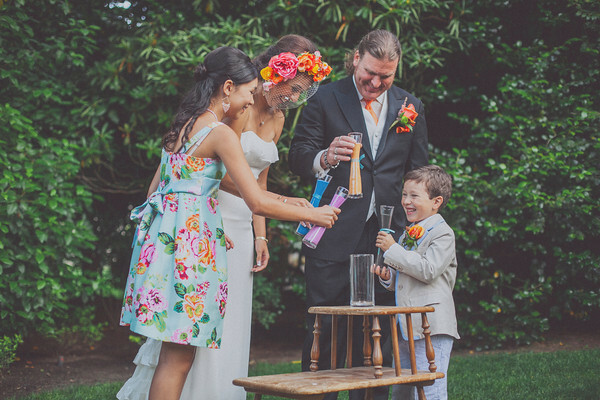 These special moments and many more were captured by Heather at One Love Photo. 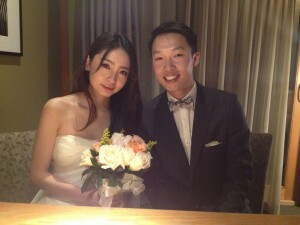 Congratulations Desiree and John! 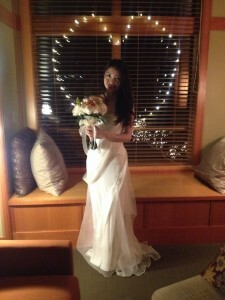 Recently I performed a ceremony for a Nadya and Joe at the Willows Lodge in Woodinville, Wa. 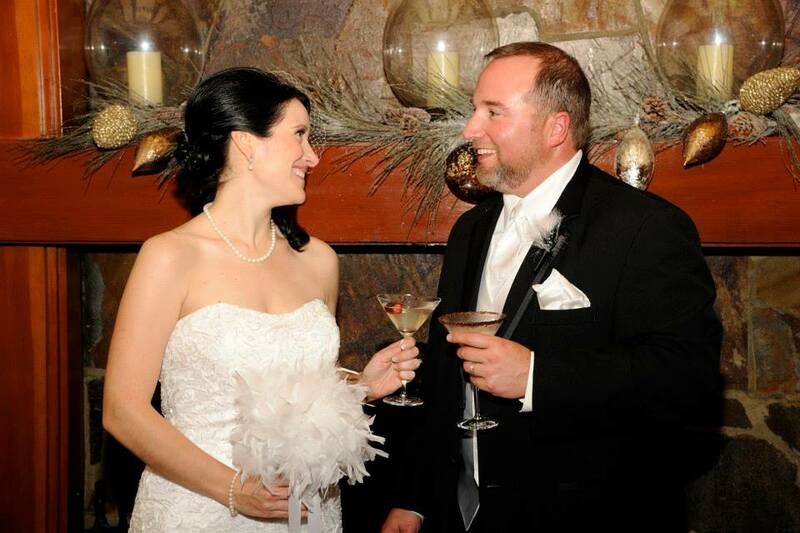 Set in the wine country, this beautiful country lodge offers indoor and outdoor areas that are perfect for your small or large wedding ceremony. 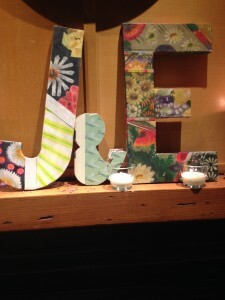 Joe and Nadya chose the library of the lodge and decorated it beautifully! 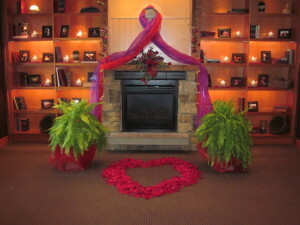 Nadya’s mother formed a heart out of rose petals for the couple to stand in as I performed their ceremony – very romantic! After the ceremony, the guests headed over to the reception room which offered a candy bar that was loaded with everyone’s favorite — chocolate! 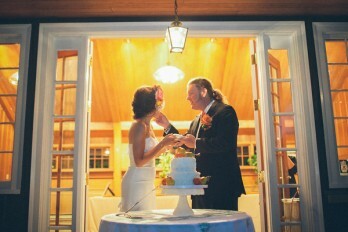 Nadya and Joe treated their guests to a beautiful reception that ended with a cake decorated with butterflies! 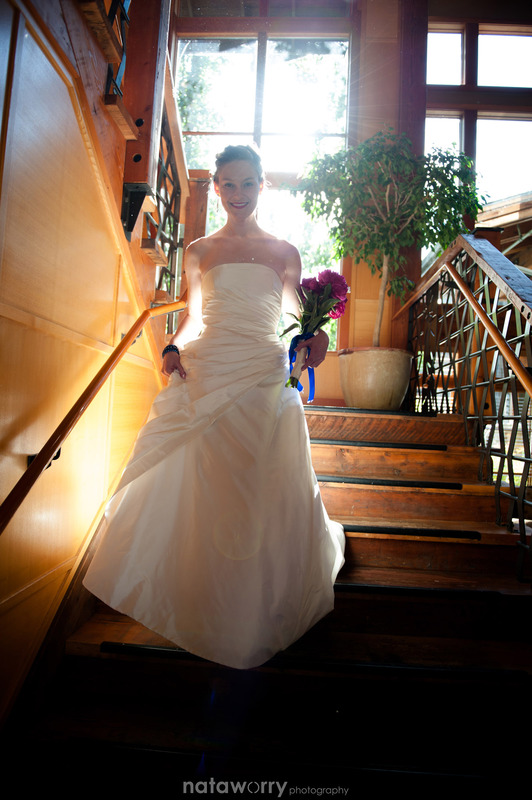 MissElaine http://seattleweddingofficiants.com/wp-content/uploads/2016/04/logo2.png MissElaine2011-03-30 16:20:122016-06-22 17:12:42Williows Lodge Wedding! 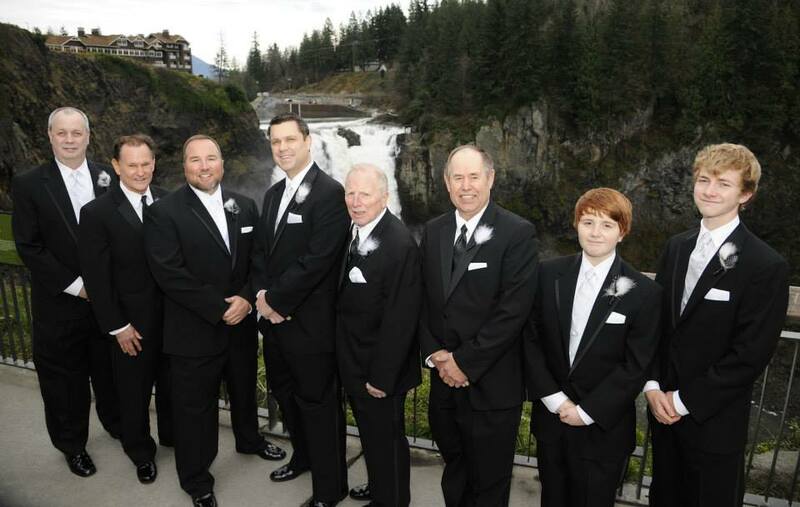 Tomorrow I’m driving up to the Salish Lodge at Snoqualmie Falls to marry a couple! 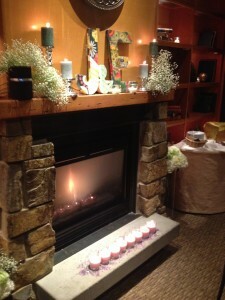 They are keeping it really simple and having the ceremony in their room. I sent them a bottle of sparkling wine to celebrate! I bet the falls are beautiful this time of year!